Police found a man with gunshot wounds along an Oceanside street early Sunday morning, but no suspect was in sight by the time officers arrived. 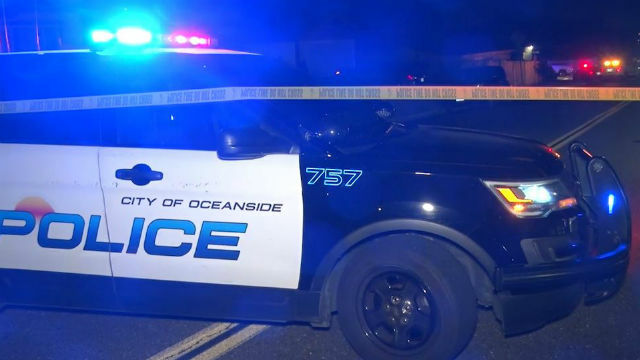 At 4:22 a.m., dispatchers were alerted to shots being fired near the intersection of Mission Avenue and Fireside Street, Oceanside police Lt. Kedrick Sadler said. Responding officers found a person with three gunshot wounds to both legs and his arm, Sadler said. The injuries weren’t considered life-threatening, and the man was taken to a hospital. The victim was “not giving a lot of information” to officers, according to Sadler, and police have not made any arrests or identified anyone as a suspect.